Get a good start in flavor and fragrance chemistry! This book presents a survey of those natural and synthetic fragrance and flavor materials which are isolated and produced commercially on a relatively large scale because of their organoleptic characteristics. It provides information on their properties, methods employed in their manufacture, and their areas of application. 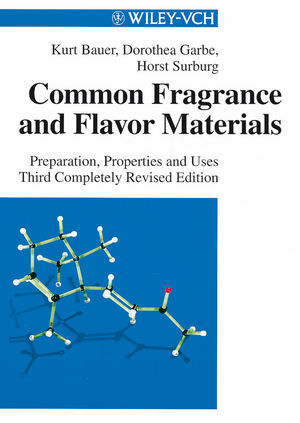 Kurt Bauer and Dorothea Garbe are the authors of Common Fragrance and Flavor Materials: Preparation, Properties and Uses, 3rd Edition, published by Wiley.